One of jazz's finest clarinetists, Artie Shaw never seemed fully satisfied with his musical life, constantly breaking up successful bands and running away from success. While Count Basie and Duke Ellington were satisfied to lead just one orchestra during the swing era, and Benny Goodman (due to illness) had two, Shaw led five, all of them distinctive and memorable. Born in New York City and growing up in New Haven, Connecticut, where he played clarinet and alto locally, Shaw spent part of 1925 with Johnny Cavallaro's dance band and then played off and on with Austin Wylie's band in Cleveland from 1927-1929 before joining Irving Aaronson's Commanders. After returning to New York, Shaw became a close associate of Willie "The Lion" Smith at jam sessions, and by 1931 was a busy studio musician. He retired from music for the first time in 1934 in hopes of writing a book, but when his money started running out, Shaw returned to New York. A major turning point occurred when he performed at an all-star big-band concert at the Imperial Theatre in May 1936, surprising the audience by performing with a string quartet and a rhythm section. He used a similar concept in putting together his first orchestra, adding a Dixieland-type front line and a vocalist while retaining the strings. Despite some fine recordings, that particular band disbanded in early 1937 and then Shaw put together a more conventional big band. 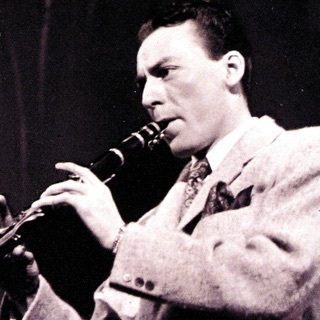 The surprise success of his 1938 recording of "Begin the Beguine" made the clarinetist into a superstar and his orchestra (who featured the tenor of Georgie Auld, vocals by Helen Forrest and Tony Pastor, and, by 1939, Buddy Rich's drumming) into one of the most popular in the world. Billie Holiday was with the band for a few months, although only one recording ("Any Old Time") resulted. Shaw found the pressure of the band business difficult to deal with and in November 1939 suddenly left the bandstand and moved to Mexico for two months. When Shaw returned, his first session, utilizing a large string section, resulted in another major hit, "Frenesi"; it seemed that he could not escape success. 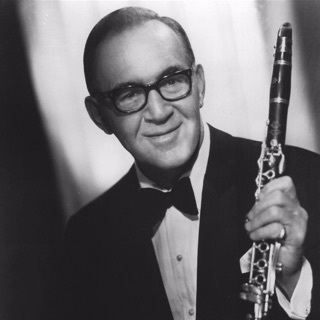 Shaw's third regular orchestra, who had a string section and such star soloists as trumpeter Billy Butterfield and pianist Johnny Guarnieri, was one of his finest, waxing perhaps the greatest version of "Stardust" along with the memorable "Concerto for Clarinet." The Gramercy Five, a small group formed out of the band (using Guarnieri on harpsichord), also scored with the million-selling "Summit Ridge Drive." Despite all this, Shaw broke up the orchestra in 1941, only to re-form an even larger one later in the year. The latter group featured Hot Lips Page along with Auld and Guarnieri. After Pearl Harbor, Shaw enlisted and led a Navy band (unfortunately unrecorded) before getting a medical discharge in February 1944. Later in the year, his new orchestra featured Roy Eldridge, Dodo Marmarosa, and Barney Kessel, and found Shaw's own style becoming quite modern, almost boppish. But, with the end of the swing era, Shaw again broke up his band in early 1946 and was semi-retired for several years, playing classical music as much as jazz.